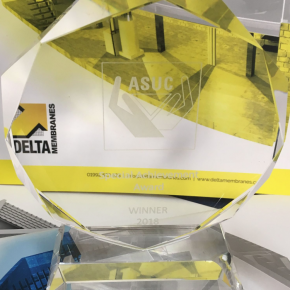 Delta Membrane Systems Limited‘s Women of Waterproofing received recognition for its work last month as it was awarded an ASUC Award for “Special Achievement”. Delta was absolutely delighted to be recognised and named as winners for its Women of Waterproofing initiative. This is the second award Delta Membrane Systems Limited has won this year, having won a PCA (Property Care Association) ‘Special Award for Initiative’ in June. ASUC (Association of Specialist Underpinning Contractors) is an independent trade association which promotes professional and technical competence within the subsidence industry. Members include a comprehensive range of specialist domestic services in: subsidence repair and underpinning, retrofit basement construction and engineered foundation solutions. Kevin Dodds and Paul Green of Delta Membrane Systems Limited attended the ASUC yearly AGM and Awards ceremony back in November, held at 1 Moorgate Place, London EC2, with guest speaker, Paul Sinha (from ITV’s quiz show ‘The Chase’) entertaining guests. 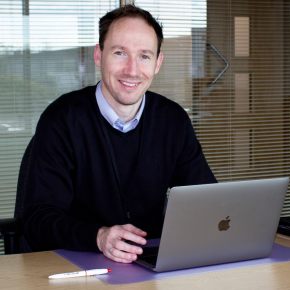 Managing Director, Christopher Burbridge, comments: “Winning this award would not have been possible without the inspiration of the Delta Team, especially Georgia, Rachel, Danielle, Daisy, Megan, Natalie, Maria, Theresa, Joanne and Alex for whom I have the deepest respect. “#TeamDelta, you can proudly hold up this award as a mark of your achievements. 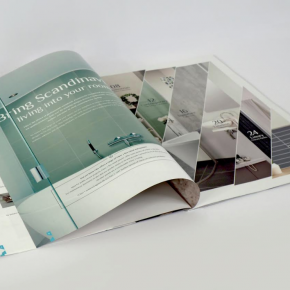 The construction sector and very much the waterproofing industry remains male-dominated and women’s growing roles as decision-makers is yet to be reflected, we hope that Women of Waterproofing can encourage and retain other females in the industry”. David J Symes and Kevin Dodds conclude: “Congratulations #TeamDelta, we are incredibly proud of your efforts. 2018 has been an amazing year for Delta, we’ve invested in our staff along with technologies which continue to lead the field in innovations (within the waterproofing sector), winning this award, highlights your dedication to Delta – Thank you”.